This fully featured GPS device is configured to meet virtually any installation, connectivity and performance requirement. With three digital inputs, one analog input and three digital outputs — the TT8750N+ gives operators total flexibility to connect multiple sensors and capture data for reporting. 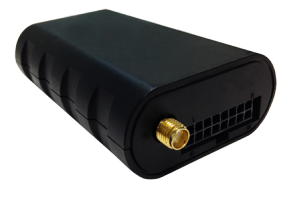 The SMA connector makes it possible to connect an optional external antenna for challenging installations. The durable weatherized housing is splash-proof for more flexibility when selecting a mounting location. The highly sensitive motion sensor is a vital part of the power management system for low power consumption. The backup battery prolongs the operational life when power isn’t available.